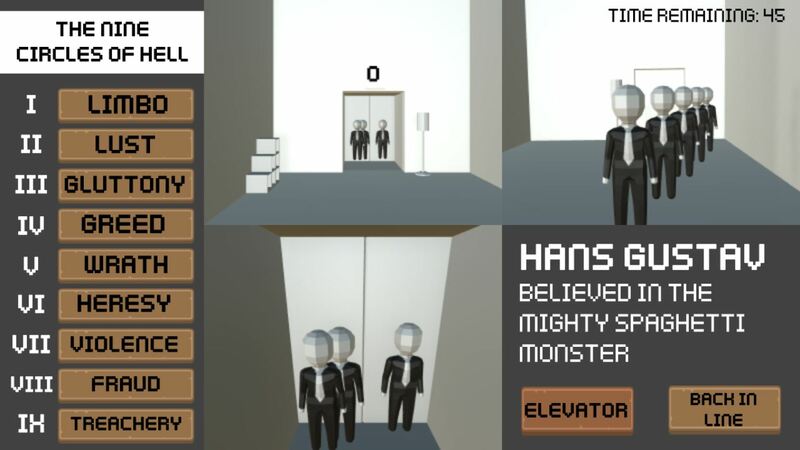 It was made for the 36th Ludum Dare Game Jam. 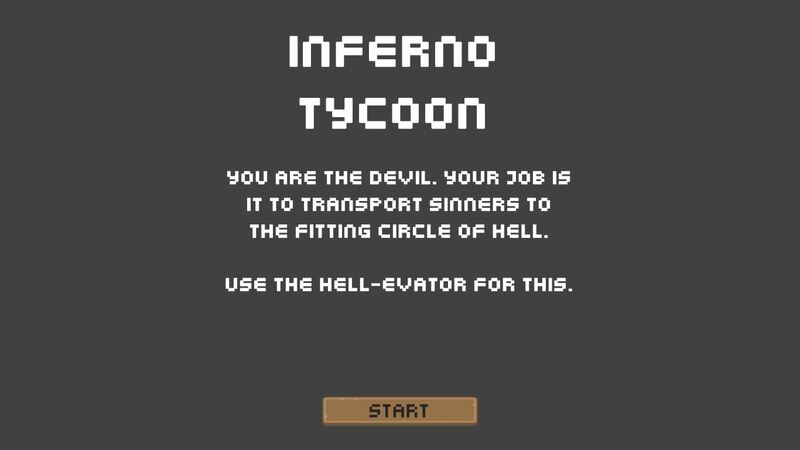 You are the devil and your job is it to transport sinners based on their sins to the fitting circle of hell (For more information: Dante's Inferno). 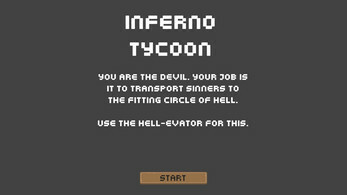 You do this by putting a maximum of 5 people into the hell-evator, which transports the sinners to the circle of choice. Not only did we massively mismanage our time and ended up creating a really unpolished game, but we even failed to deliver a game fitting the actual theme of the jam (which was 'Ancient Technology'). Nevertheless do we hope that you'll have some fun playing it.